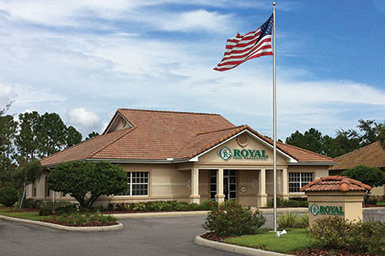 Florida offices conveniently located in Tampa, Sun City Center and Lakewood Ranch. E. Shel Yetman is a Published Author, a Noted Public Speaker and a Respected Wealth Manager licensed as both an Independent Insurance Professional with E S Yetman Insurance Advisors, as well as well as Investment Advisor Representative with Royal Fund Management LLC, A SEC Registered Investment Advisor. His practice focuses primarily in the areas of wealth and income creation, growth and protection as well as tax, legacy and health issues facing average families and individuals preparing for, or who are already in their retirement years. Mr. Yetman was born (1952) in Pittsburgh, PA and lived most of his life in Western PA although he did spend some of his early years in both Florida and Southern California; He currently resides in Sun City Center, Florida with his wife and "Soul Mate" Janice. Shel and Janice have no children together, but Shel has one daughter "Danielle" who has blessed him with two wonderful Grandsons; Blaine and his older brother Mason. Shel's Beloved son Zac is now at home with the Lord and will always be at his side. Mr. Yetman graduated from Churchill Area High School and attended Penn State University. He has a varied business background as a salesman, sales manager, and sales trainer and has owned and operated several small businesses. Looking for a more fulfilling lifetime career he began working in the Estate Planning and Wealth Preservation fields where he found his true sense of purpose. As both an Investment Advisor Representative and an Independent Insurance Professional, he became a true expert working with individuals and families. Mr. Yetman's goals and mission are one in the same; To Enhance, Protect and Preserve the Lives, Hopes and Dreams of Today's Baby Boomer. Visitors to this page must avoid posting recommendations, endorsements and/or positive reviews of their experiences with Royal Fund Management, LLC, it's employees and/or services as such testimonials are prohibited under state and federal securities laws and may not reflect the experience of all clients of Royal Fund Management, LLC., a SEC Registered Investment Advisor. Yes, I would like E. Shel Yetman to contact me.